The Asian Legal Resource Centre (ALRC) invites you to a parallel event on ‘Extrajudicial Executions in India’ that will include the world premiere of Healing Manipur, a documentary film on the effects of an Indian law, The Armed Forces (Special Powers) Act, 1958. 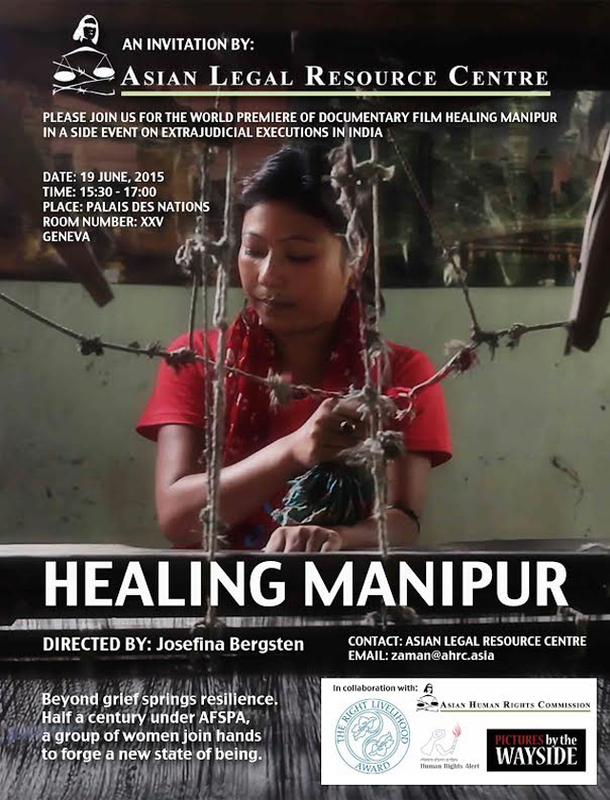 The documentary centers on the lives of women in the Manipur state of India who have either been widowed or who have lost children due to the application of this law. These women have come together to form an association, the Extrajudicial Execution Victims Families Association, Manipur (EEVFAM). The documentary portrays the struggle of EEVFAM mothers seeking to find renewed meaning and purpose; it showcases the courage of the women, who are trying to heal from the trauma caused by the murder of a loved one. The purpose of screening the documentary at the UN is to encourage women across the world facing similar situations to find means to recover from trauma, to build a solidarity network of women survivors to work towards ending such violence, and to encourage them to seek legitimate justice processes to redress grievances, as the EEVFAM has sought to do in India. 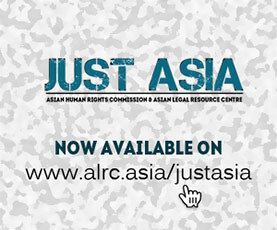 Chair: Mr. Bijo Francis, Executive Director, Asian Legal Resource Centre (ALRC), Hong Kong. 4. Mr. Sharan Srinivas, Programme and Research Manager, Right Livelihood Award Foundation, Sweden, will speak about supporting initiatives like EEVFAM that fight against injustice.